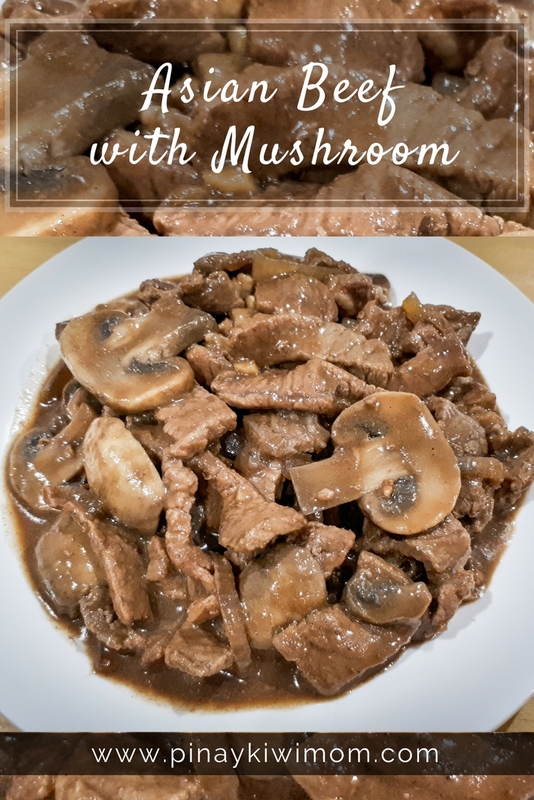 Asian beef with mushrooms is an easy stir-fry flavorful dish with just a touch of ginger that makes delicious, and healthy meal. Once the oil gets hot, slowly add beef steak. Stir-fry for 2 minutes until the beef turns brown. Put in mushrooms. Continue to stir-fry for 1 minute. Pour in soy sauce mixture. Stir. Make sure all ingredients are blended properly. Continue to cook for a minute. Pour in beef broth. Let it boil. Add cornstarch diluted in water. Stir. Cook until sauce gets thick.